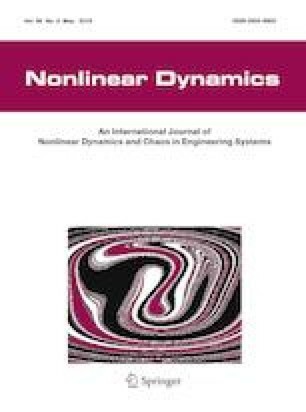 This paper focusses on investigating how high-frequency (fast) excitations affect the aeroelastic instability of a spinning disc immersed in a compressible fluid-filled enclosure. The method of multiple scales is used to recast the governing equations of motion into separate equations for fast and slow motions. The slow motions represent the dynamic behaviour of the non-autonomous coupled system. The stability boundaries of the coupled system are investigated through a bifurcation analysis with respect to the mean disc rotation speed and the forcing amplitude. The study reveals that an increase in the forcing amplitude of the fast parametric excitation results in a corresponding increase in the frequencies and the critical speeds of the coupled disc modes associated with the slow motions. Moreover, it is shown that the aeroelastic stability can be postponed or suppressed due to the stiffening and gyroscopic effects induced by the fast excitations. Here, the superscripts C and S, respectively denote the cosine and sine modes.